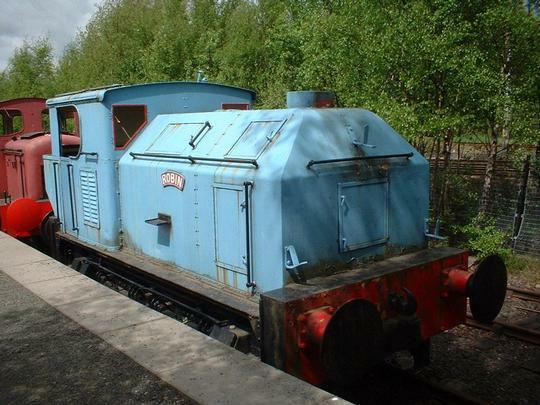 An earlier photo of the loco which represents the standard of presentation of the loco that it's former owners had. 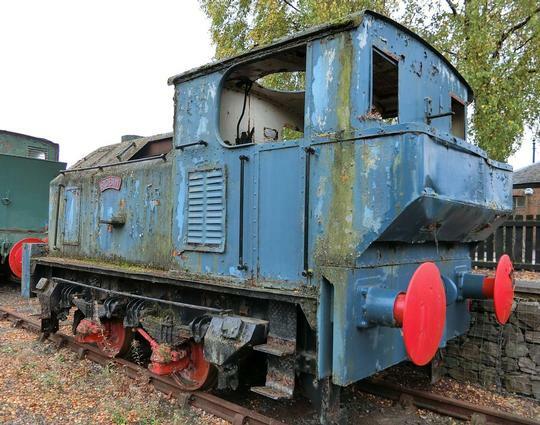 Years of open air display have produced the usual effect of peeling paint, rust and mossy growth. Compare with the earlier photo. 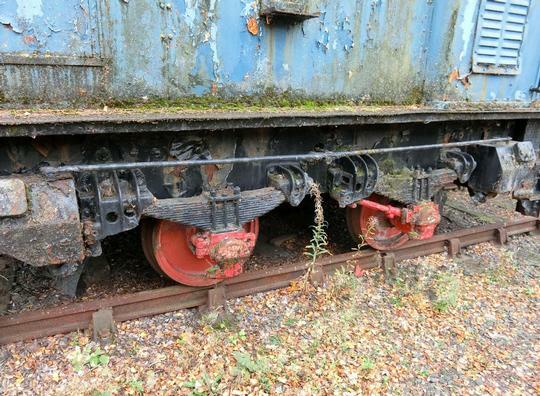 A close up shows the level of deterioration of the loco. The moss seems to like it, anyway. 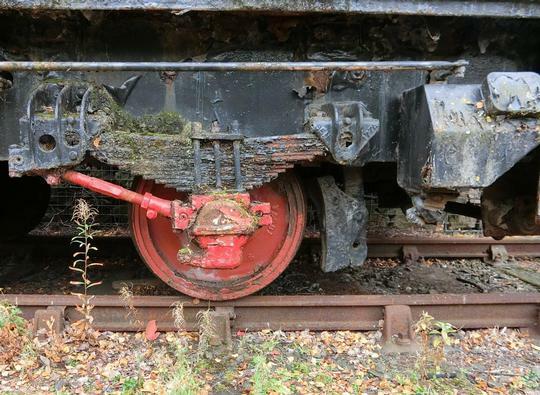 A close up shows the level of deterioration of the loco.